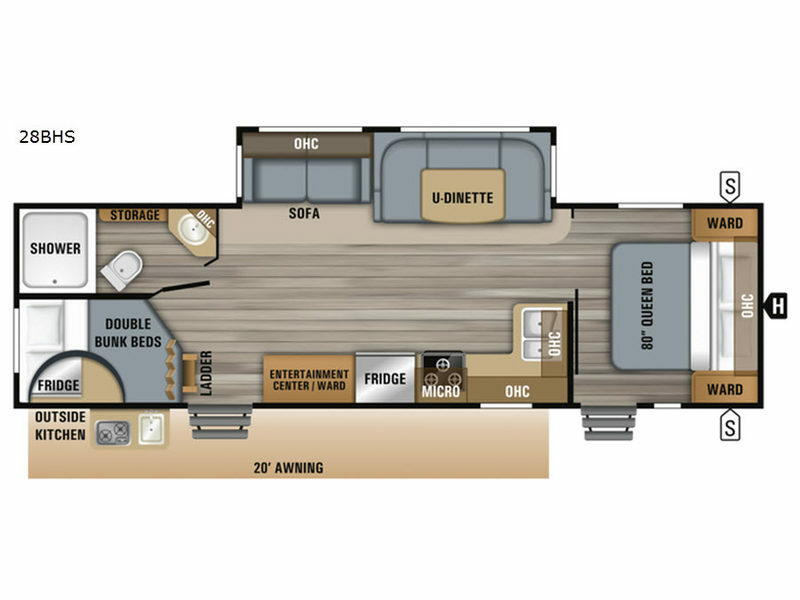 It's time to enjoy all your camping trips with your family in this travel trailer. The kiddos will enjoy their own double size bunk beds while you rest in the master bedroom on the opposite side. 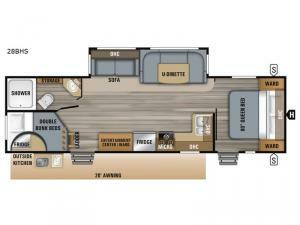 You can meet in the middle to play games and eat meals together on the U-shaped dinette or sofa. The rear bathroom is conveniently beside the bunks, as well as the main entry door. The second entry in the master bedroom allows the parents to sneak out for a walk in the morning while the others sleep in after staying up late. If you want to start breakfast outside on the outdoor kitchen, that works also. It's time to start planning your next trip!